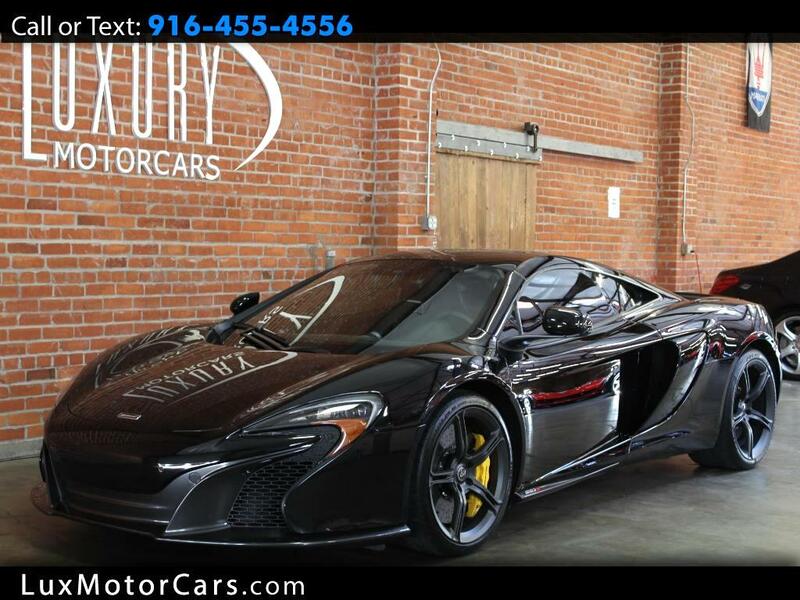 Luxury Motorcars is excited to offer this beautifully pristine 2015 McLaren 650S coupe that comes in Carbon Black over a black leather interior, with an original MSRP of $301,940! This unbelievably fast car comes with an immense amount of additional factory options like: Contrast Stitching on dash ($710), Carbon Ceramic Brakes ($1,270), Carbon Fiber Door Sill Panels ($3,160), Carbon Black special paint ($2,530), Sport Exhaust ($6,650), Forged Sport Wheels - Stealth Finish ($1,580), Technology Package - Enhanced; Vehicle Lifter, Car Cover, Electric Steering Column, Electric & Heated Memory Seats, Parking Sensors (front and rear), IRIS Upgrade with Satelite Navigation and Meridian Surround Sound System ($16,440). Over $32,000 in extra options makes this a very unique and highly desirable optioned car. A zero to sixty time of 2.9 seconds, a carbon fiber MonoCell with aluminium body, and a ProActive Chassis Control gives this car unimaginable handling in the corners. It comes with a clean Carfax, clean title, 100% accident free, and still wearing its original paint from the manufacturer, confirmed with a paint meter. Expel Clear Protrection wrap on the entire front including the doors. Only thing left to do is drive! Message: Thought you might be interested in this 2015 McLaren 650s.